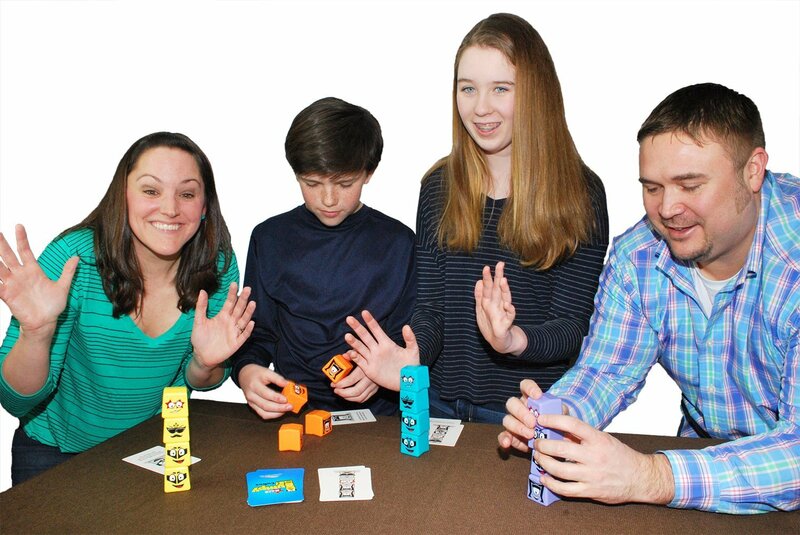 Do you enjoy spending time as a family playing board games? 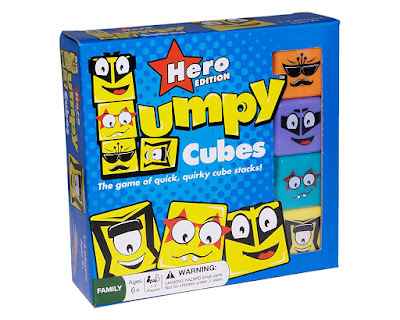 My family always has, so I wanted to share this game with all of my readers, Lumpy Cubes Family Board Game. It's easy to learn to play and a lot of fun for 1-4 people to play. (ages 6 and up) This game is not only fun to play, but it is designed to improve memory, reaction time, and motor skills. 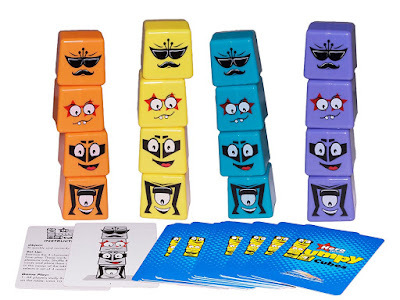 The game comes with 16 Lumpy Cubes, 12 Stack Challenge Cards, 4 Lumpy Cube Hero Cards, and instructions. The object of the game is to correctly stack your 4 cubes. To set the game up remove the 4 character description cards, they are for your reading pleasure only. Shuffle the remaining 12 cards and place them in 1 pile, face up, in the center of the table. Then have each player select a set of 4 matching cubes. Now you're ready for the fun to begin. To play the game all players have 10 seconds to study the pattern on the top card on the pile. Then all players pick up their cubes and on the count of 3 -"1,2,3"- drop their cubes, making sure not to drop them out of arm's reach. Using your cubes, race to complete the pattern on the card. The first player to correctly stack their cubes and yell "LUMPY" wins the round and is awarded the card. Repeat these steps until a player has collected 3 cards, and they are the winner. My family had so much fun playing this game! It was so nice to hear everybody laughing and having a good time. Family games nights are important to me, it brings us all closer and gives my family not only a fun time but also time to communicate and enjoy each other's company. 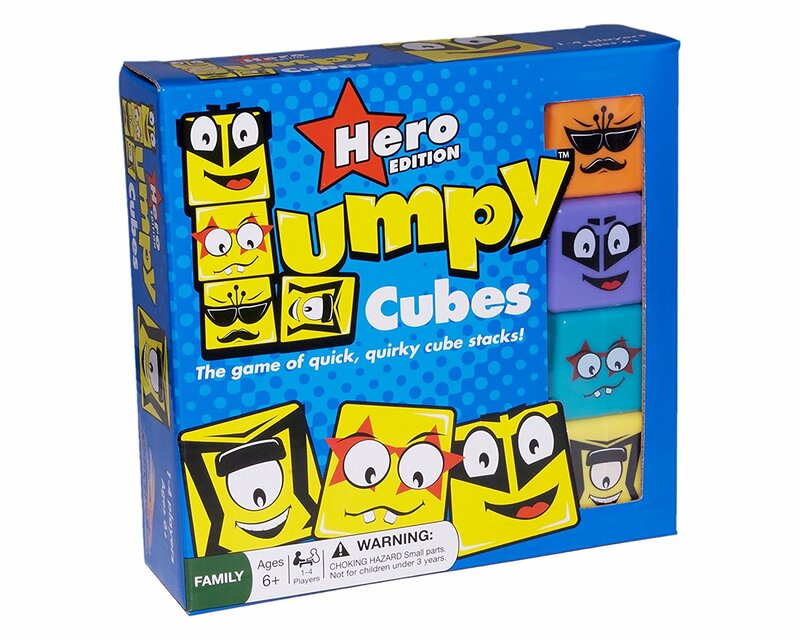 Lumpy Cubes is a great gift for your own family or for a birthday or any other occasion, or even a gift for another family to enjoy as well.